In 2005 Melin and Mortensen, two metalheads and childhood friends, decided to start a metal band with innovative original music. Their idea was to make heavy metal that appeal to listeners from all genres and at the same time is loved by the diehard metalhead. In 2006, after only one year, the band released their first EP - Relativity Fade, which was praised by Swedish media. Pretty soon, the band was booked as an opening act for bands, such as, Amon Amarth and TYR. The development towards a heavier sound meant that Janossy was recruited in 2008 and then became the final piece of the puzzle of what today is The Embodied. The more clear and distinct sound was greeted with open arms by both fans and critics. In the following time, the band had more gigs than ever before, including supporting act to bands such as Tokyo Blade, Bullet, Hellfueled and Astral Doors. In 2009 the band released, in collaboration with Andy La Rocque, their second EP - Chapter One. The reviewers predicted a bright future for the band as “a new band on the Swedish metal sky.” Since then, The Embodied has had great international success, particularly in Germany and Hungary, where the band already have covered two tours. Recently, The Embodied has been renowned nationally in media and as a live act, playing with bands such as Arch Enemy and Engel. "The Embodied" Reviewed by RadioIndy.com! The Metal group, The Embodied, releases a spectacular self title album that is sure to please all fans of Heavy Metal/Punk. This guitar heavy collection of songs runs full throttle with strong and demanding vocals and dynamic instrumentation. Opening up the album, the song, “As I Speak,” showcases energetic power as the searing guitar and hypnotic vocals spin this song into a blistering force. Another track, “Born from Shadows,” is intoxicating as the vocals are bursting with Metal attitude while the guitar ignites on fire in the solo. You will like how they turn it down a few notches with a shimmering ballad like song, “Prometheus Flame,” as this song has a fascinating magical appeal. 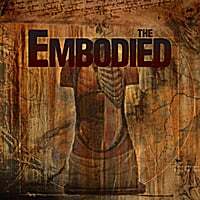 If you are into thrashing Heavy Metal/Punk, then the CD, “The Embodied,” is one you definitely need to listen to.